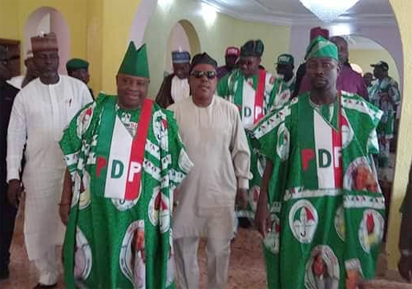 Ademola Adeleke, candidate of the Peoples Democratic Party (PDP) in the Osun state governorship election, defeated Isiaka Oyetola, his All Progressives Congress (APC) rival at the pollingunit of Adelani Baderinwa, the state commissioner for information. Adeleke secured 171 votes ahead of Oyetola who polled 113 votes at Unit 2, ward 4, Ifelodun local government area of the state where Baderinwa casthis ballot. 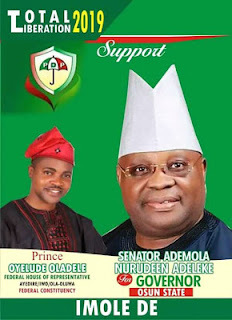 Adeleke cleared Ede, his local government, while Oyetola was victorious in Boripe local government where he hails from. .Save for inducement of voters and few incidents of card readers malfunctioning, the election recorded success. The Independent National Electoral Commission (INEC) is expected to declare a winner at its head office in Osogbo. 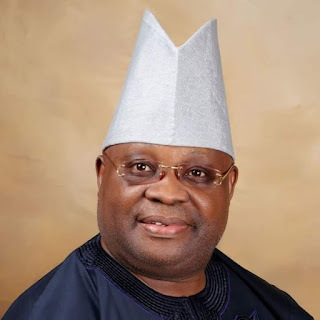 The Governorship Candidates for AD, Labour Party, Accord Party and 8 other parties withdraw for Senator Demola Adeleke. Osogbo – Ahead of Saturday’s governorship election in Osun, the Senate President, Dr Bukola Saraki, on Wednesday in Osogbo, canvassed support for the Peoples Democratic Party (PDP) candidate, Sen. Ademola Adeleke. The former Vice President, Alhaji Atiku Abubakar, PDP National Chairman, Uche Secondus, Gov. Abdulfatai Ahmed of Kwara, the National Vice Chairman of the party, Eddy Olafeso, among others, joined Saraki at the mega rally held at Nelson Mandela Freedom Park in Osogbo. He said it was painful that APC-led administartion in the state could not pay workers’ salaries for three years. Mr Soji Adagunodo, the PDP state chairman, said Osun was ripe to be taken by the party. He appealed to residents to vote for PDP, pronusibg them that Adeleke would not dissapoint them. Gov. Ahmmed in his remarks, also urged the electorate to use their Permanent Voter Cards to vote for PDP. The West African Examination Council (WAEC) has confirmed that Governorship Candidate Peoples Democratic Party (PDP) Ademola Adeleke sat for the May/June examination of the council in 1981. WAEC made this confirmationin an affidavit deposed to by one Osindeinde Adewunmi and filed at the registry of the Federal Capital Territory (FCT) High Court. 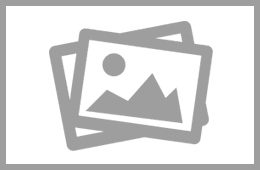 The Council confirmed that Adeleke sat for the Senior Secondary School exams in May/ June 1981. According to the four paragraph affidavit filed on Wednesday in compliance with the order of Justice Oathman Musa requesting the examination body to confirm whether the governorship candidate sat for the 1981 exams. 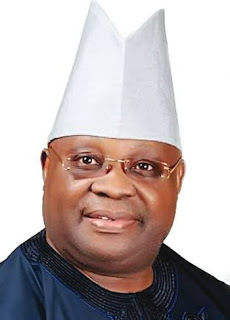 Justice Musa, had in a ruling delivered on September 11 directed that WAEC should depose an affidavit, to either deny or confirm that Adeleke who is currently representing Osun West Senatorial District, sat for the Exams the Council conducted at Ede Muslim High School in Ede, Osun State, in 1981. It equally said the examination body should file the ledger containing results of Ademola and his mates with whom he sat for the examinations, as well the verifying affidavit, within five days of being served with the enrolled order dated September 11. WAEC however in the sworn affidavit confirmed that, Adeleke with center number 19645 and candidate number 149 indeed sat for the Senior Secondary School Certificate Examination in May/June 1981 conducted by the council at Ede Muslim School situate at P.O. Box 6 Yidi Road, Ede, State of Osun. Accompanying the affidavit is a ledger containing the result of all candidates (001-221) who sat for the Senior Secondary School Certificate Examination in the said school. WE ARE BATTLE READY, OSUN MUST REMAIN APC STATE ~ BUHARI. President Muhammadu Buhari has called on the electorate in Osun State to vote for the governorship candidate of the All Progressives Congress in the state, Alhaji Gboyega Oyetola on Saturday. He said this in Osogbo on Tuesday while addressing supporters of the APC at the mega rally for the governorship candidate of the party ahead of the Saturday election. 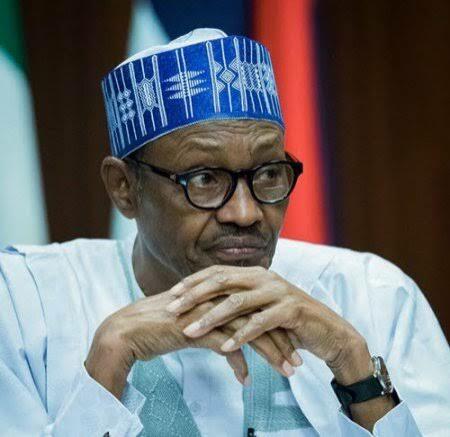 Buhari described the governorship candidate of the party as the right man for the job, while urging the electorate to vote Oyetola in order to continue with the development witnessed in the last years of Governor Rauf Aregbesola. Aregbesola said Oyetola would win the poll because his administration worked tirelessly to develop the state in the past eight years. Aregbesola said, ” We are winning the election of Saturday, September 22 by the grace of God and we are coming back to jubilate. Why must God support us? Because we have worked 24 hours of every single day of the 2,922 days allowed by the constitution to serve the people of this state. Merely looking at me will testify to that fact. The Witches and Wizards Association of Nigeria, (WITZAN) Osun state chapter will meet tonight and predict the winner of Saturday’s governorship election. According to the statement released by the Association, it reads that “there would be meeting tonight at Oke-Ogbo, the headquarters of Ife East Local Government Area, the person who will win saturday’s governorship election would be revealed”. Although, 48 parties and 48 governorship candidates will participate in Saturday’s September 22 election. About 5 of them are expected to be the major contenders. These are: Gboyega Oyetola of APC, Ademola Adeleke of PDP, Iyiola Omisore of SDP, Mashood Adeoti of ADP and Fatai Akinbade of ADC. The governorship flagbearer of the Peoples Democratic Party ,Senator Ademola Adeleke has described his six point agenda as the path of redemption and collective prosperity for Osun state. Receiving members of Osun Democratic Society who paid him a visit over recent attacks on his campaign convoy,Adeleke said those attacks were designed to stop his bid to lead Osun to redemption,declaring that "I am further determined to campiagn and win this election for the good of our people. "I thank you for your solidarity visit.My agenda is for the people ,by the people and of the people.When I put the agenda together ,our party leaders and technocrats also vetted and validated our plan.It is all about the people and how to return prosperity in place of hunger and want",he said . The PDP candidate reiterated his earlier policy statement that workers will enjoy prosperous time under his administration,declaring "I will be a governor who truly serve the people,who bring food on the table,who fight corruption, who pay salaries regularly. "Every worker deserves his pay.Our government will address workers' entitlement and welfare upon assumption of office. 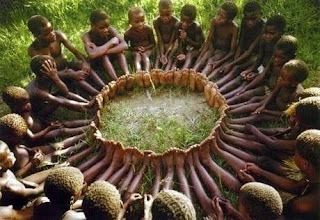 I have the capacity to deliver on this and other key programes as contained in our 6 point agenda. "As a perfrorming Senator, I have focused on delivering dividends of democracy to my people.I ensured full implementation of all constituency projects with all honesty and transparency. As a governor, I will continue this track record of performance, public servants,artisans,teachers ,market women and the downtroden poor will have a joyful life",the PDP candidate said. He implored the people of Osun state to persevere and deploy their voting cards to end the suffering and bring joy by voting him as Governor, assuring that "I will not disappoint you as Governor of Osun state"
"We are here in solidarity with the PDP candidate.Attacks and violence are serious threats to the democratic process .We urge security agencies to act quickly",he said. Ademola Adeleke Campaign Organisation has cried out over alleged destruction of billboards of the Peoples Democratic Party (PDP) by agents of the ruling All Progressive Congress (APC).The campaign organization also claimed that campaign convoy of the governorship candidate of the PDP, Senator Ademola Adeleke, was breached by a suspected attacker in cream coloured unnumbered Toyota Venza. Olawale Rasheed, Director, Media & Publicity, in a statement sent to DAILY POST, said some hoodlums last night rained bullets on the country home of the Adeleke family until they were repelled.According to him, “Now, ongoing all over the state is the vandalisation of billboards and campaign posters of the PDP candidate. This act of destruction by the APC thugs is evident at Osogbo and other parts of the state. “As we prepare to make official reports to the security agencies, we alert the general public to the increasing desperation of the APC in the countdown to the governorship election. “We have conducted our campaign with utmost decorum and compliance with the ‘vote and not fight’ principle. We remain committed to peaceful campaign and electoral processes. We however invite local and international democratic forces to note the deliberate efforts of the APC to plunge Osun State into chaos.We call on security agencies to take note of the increasing onslaught against opposition leaders and the dangers this portends for our democracy. The police and other security agents should curtail and rein in forces of chaos and violence for the stability of our nascent democracy. “The people of Osun State are entitled to their democratic rights to vote and be voted for. Our people will never be cowed or scared from exercising their democratic rights to reject the inhuman government of APC. No amount of threat and attacks will stop the imminent defeat facing the APC in Osun State.